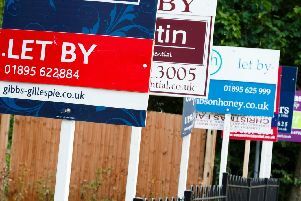 Local lettings agency Connells in Leamington and Warwick is urging landlords, buy-to-let investors and tenants to choose their lettings agency wisely, after the announcement of a new Lettings Code of Conduct by housing minister Brandon Lewis. In keeping with the new code of conduct, Connells is advising landlords and tenants to opt for a letting agent that is part of the Property Ombudsman to which the new code will apply. This will offer more security to tenants, buy-to-let investors and landlords alike, according Connells. Lettings manager Selina Egan says anyone with property to let or those looking for rental accommodation should ask their lettings agent a number of key questions. She said: “I would encourage anyone looking for lettings services to ask what lettings qualifications the branch staff have and what governing body they are affiliated to. “This information should be readily available and clear from the outset of the whole process, regardless of whether you are a landlord or tenant. “Connells offers a wide range of lettings services to protect both the landlord and tenant. “Plus we are internally regulated by a central, dedicated compliance and legal services team, not to mention being a member of the Property Ombudsman for residential lettings. “With these latest announcements by the housing minister, the industry is trying to reinforce best practice and help clear the mist between who is responsible for different elements of the property’s upkeep, as well as trying to eradicate rogue landlords.